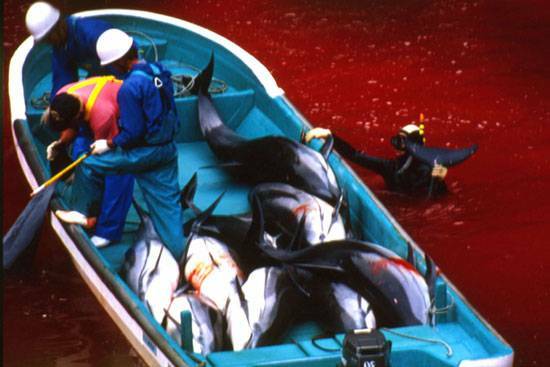 According to the Environmental Investigation Agency (EIA), an independent organization committed to bringing about change that protects the natural world from environmental crime and abuse, over a million toothed whales, dolphins and turtles, have been killed in direct hunts in Japan in the past 70 years. 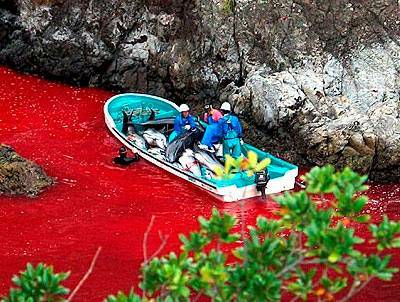 Catch limits set by the Government of Japan for 2013 permit the killing of 16,655 small cetaceans. This represents the largest directed hunt of cetaceans in the world. A comprehensive analysis of the available scientific data demonstrates unequivocally that there are grave concerns regarding the sustainability of these hunts. Nine small cetacean species are targeted in Japan’s coastal hunts, which take the form of small-type coastal whaling, hand harpoon hunts and drive hunts. Long before catch limits were introduced, the abundance of favored species, such as the striped dolphin, began to drastically decline due to over-exploitation. 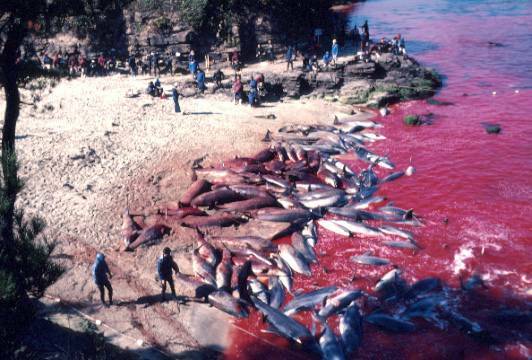 As catches reached in excess of 30,000 small cetaceans per year, concerns were raised at an international level regarding the unsustainable nature of Japan’s hunts. 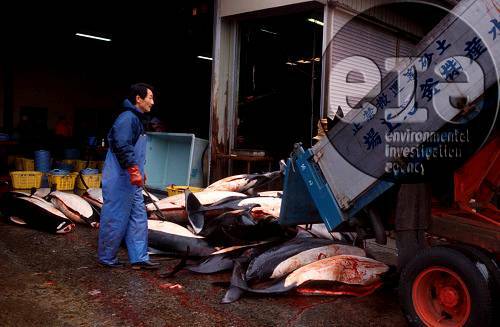 Catch limits were set by the Government of Japan in 1993; however, the actual catch numbers have declined to levels below the catch limits in the majority of species targeted by direct hunts. The declining demand for cetacean meat and the increasing economic costs of hunts may be playing a role, but there is significant evidence that a number of the exploited populations are depleted. 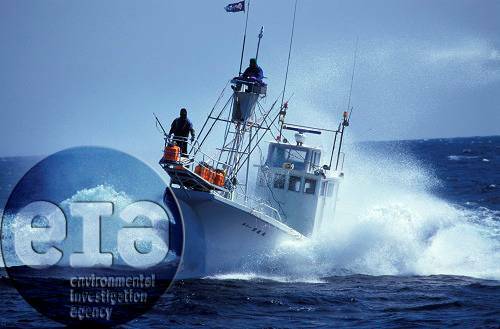 Evidence shows that changes in catch composition, declining abundance trends and reports from hunters of an increased difficulty in filling quotas all point to over-exploitation. 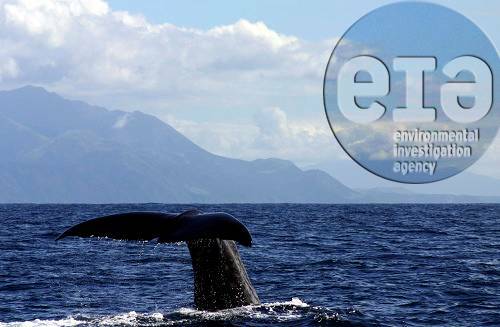 Despite the indications of population declines, there appears to have been little monitoring of the status of the exploited small cetacean populations. For many of the species hunted, the last published abundance estimates are based upon surveys conducted more than 20 years ago. Disregarding clear signals of overexploitation the Government has permitted catches to remain at levels that are unsustainable for eight of the nine target species. Small reductions in catch limits have been made since 2007 but often in prefectures where hunts are no longer occurring. 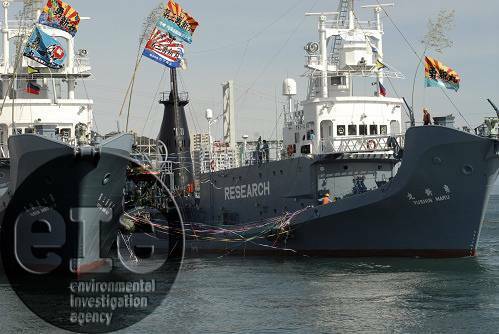 The Government of Japan provides little transparency regarding the methods it is using to set catch limits but they remain considerably higher than those that would be permitted under management strategies employed elsewhere in the world. In addition, there is little or no attention to catch composition or struck and lost rates, with the latter remaining unaccounted for in the reported data on numbers killed. Although multiple tools now exist to calculate sustainable levels of marine mammal mortality these are not being employed.